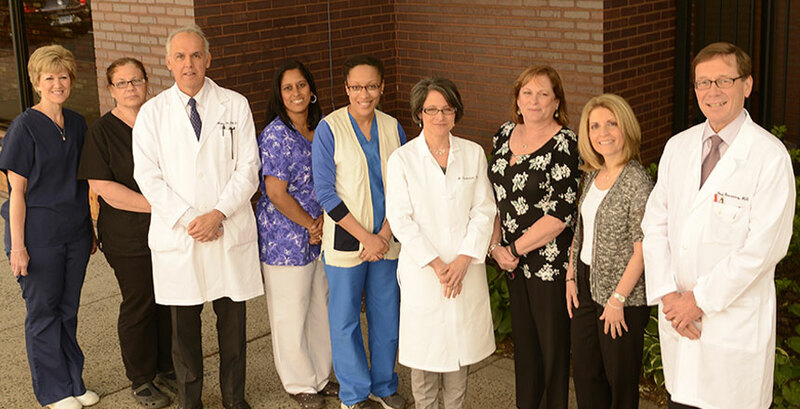 Surgical Associates of New Haven, PC was founded in 1967 by Richard Selzer, M.D., Bernard Siegel, M.D. and Andrew J. Graham, M.D. William McCullough, M.D. joined the practice in 1970, and Paul Barcewicz, M.D. in 1984. Drs. Selzer and Siegel retired, to pursue successful literary careers. In their stead, during the 1990s three younger surgeons were welcomed into the group: Melissa Perkal, M.D. in 1992, Michael O’Brien, M.D., Ph.D. in 1996 and Ellen G. Polokoff, M.D. in 1997. Most recently, we have been joined by Kaye Zuckerman, M.D. in 2002.